It's official. Yesterday Bruce Collins, head of New Wine Cymru, came to see me to tell me that there would be no Furnace at next year's summer conference. The vision of the NWC leadership is to make the main meetings younger; so a "young adults" venue works against that. I get that. And given that they have just ended the association of Ignite with the conference (Ignite have run the youth work at this conference for a decade) and that the Furnace was very much part of the Ignite work, it is I suppose an obvious time to make a break. I regret that the NWC Exec made leadership decisions about areas of the conference that some of us have worked very hard to make work, areas where we have sought vision and then laboured to make vision reality, where we have given up a lot of precious time in order to serve others, and where lives have been richly blessed - that they made leadership decisions about these areas without involving those of us who have taken responsiblility for leading those areas in the decision making process. There is an element in this where it slightly feels like we are viewed as competent to work, but not to pray. Leaders in name, but workers in fact. I have been asked to be involved in next year's conference. There will be a late night cafe attached to the main venue, aimed at (but not exclusive to) the young, single adults. This will have live music, and also some "chat show" element, possibly debate, possibly a bar as well as a cafe. The team attached to it will be charged with bringing in singles on site. There will be some seminars aimed at (but not exclusive to) younger people. It makes my heart sink, not rise. I am being asked to be a chat show host or a bar manager; a pastor to singles (God help us - that's a concept I, who run a family church, find totally distasteful); and to look at seminars for the young people. This year I was a leader of a stream of the conference, a host, a speaker, an inspirer, a worshipper, a Bible teacher, a prophet, a leader of prayer ministry, a counsellor, a chat show host, a entertainer, an encourager, someone under authority who asked for something to be done and it was done. Through working all day every day with a group of people we built relationships that made some difference in God's Kingdom. And then others joined us for our late nights, and I hope they were touched too, but that was different. Next year I am being asked to work as hard (no Ignite team to do all the logistics) for just the people in that last sentence, in the hope there will be more of them. I'm sure there will be. I'm sure that entertaining them and giving them space at the end of the day is a really good thing to do. But this year all the work we did changed lives. It's a hard thing not to think that either what we did was not understood by the NWC leadership, or that having been understood, I've just been offered a serious step down. I am reminded of how humble Andy Booth is: working so gently at the worship leading, when he is capable of so much more than so many of the people around him there. Doing what he is asked to, and making no comment. A godly man. Of course, he also finds it a welcome break from what he usually does, a refreshing time to be able to put aside all his usual responsibilities. He does not need the recognition of these folk he comes to serve so willingly. I have a lot to learn from that. I did not say no. Partly because I like Bruce Collins so much, partly because I don't want to cut my ties with NWC, partly because I wonder if I want some recognition. I think I am going to say no. Because I have a role here at St Catherine's that is more important than any other call on me and on my time; and when things come in that correlate with my major ministry giftings - worship, Bible teaching, outreach opportunities - I will look and see if they are things that I should be giving time to. Otherwise, vanity invitations need to receive a warm "thank you" and a gentle "no, thank you". I am still praying it through. Because I like Bruce... Which is not enough reason to say yes to this. And if I should still be involved with NWC, it will happen. But not this way, I think. I wrote and declined Bruce's offer for next year's conference. I'm sure that as my heart sinks, somebody else's will rise, and that person will be right for the job. If I said yes, I would be stepping in that person's way. I feel sad that what is past is past. But glad that I have done the right thing; this was not for me. I left my letter by saying that if I could help in any other way Bruce should ask, I wanted to do so, and that if the Lord is blessing us here, we as a church remain committed to sharing that wherever we may. My continued prayer is for growth on the work of New Wine Cymru. Here it is - Salvation's Song, the book, in Korean. Just what I have been waiting for! I mean, it is pretty awe-inspiring. Not just having written a book, but now I've written a book I can't read. How impressive is that? Of course, I expect it's both a Jesus and a Manchester United thing. That Far-East connection, all those shirt sales (Man Utd, though Jesus may sell some too) and the football references that are littered through my easy-read but thought-provoking theology - perhaps Park Ji-Sung has read my book (Salvation's Sung)? Kingsway just sent them to me. An email came saying they were on their way. I have no idea about how royalties work in the Far East (well, apart from the King & I - shall we dance?) or what currency it would come in. Maybe this is the Lord's provision against the credit crunch! Or I could buy Newcastle United! Which bit of writing on the cover is my name? Who's Been To The Theatre? When I was sixteen, I saw Robert Lindsay as Hamlet at the Royal Exchange in Manchester. It was electrifying - astounding - a magnificent production that set the bar high for Shakespeare in the theatre for me. The defining Hamlet of my childhood. I saw Kenneth Branagh in the early nineties at Stratford. Dull, stolid, boring. Such a let down. Last night I saw David Tennant at the RSC's Courtyard Theatre, their temporary residence whilst they are rebuilding the main house in Stratford. I will not go to see this play again for many years, becasue I have now seen the definitive version of my adulthood. It was mercurial, compelling, emotional, sad, too much, too little, amusing, and desperately sad. I cried with Laertes at Ophelia's death - can you believe it? Polonius was perfect - not a fool, but a pedant, and so locked in his own world he was unaware of others. Claudius was a truly smiling villain - believable and apparently trustworthy at the start, wretched at the end. A fantastic journey, a remarkable journey, truly a star trek from Patrick Stewart. And Hamlet: David Tennant was mannered and natural, and like a big kid, and like the master of all he surveyed: he was a pretty complete Dane for me. He is an astounding actor, and (unlike Branagh) looked much younger than his thirty-odd years, which is so needed in a part which has a man of thirty act like a teenager for so much of the time before growing up fast. Interesting cuts: "To be or not to be" was, I think, in an unusual place. Most remarkable - the interval comes as Hamlet is about to slay Claudius at prayer: the stage goes dark & resumes twenty minutes later at that point with the lights going up with the two actors on stage in the same positions and continues on. Saturday night cliffhanger stuff. It kept me on the edge of my seat. I loved it totally; totally. You can't get a ticket, it's sold out. But if you have one - you are in for a treat. Five stars. Right up there with Turandot at the Royal Opera with Jane Eaglen. Aida in Florence conducted by Zubin Mehta. Glorious. Glorious. Before I went to Florida the other week, I noticed that Matt had a small spot on his neck. It had been there before, but it was a bit larger now, and Simon, the vet, had told me that if it grew I should tell him. So I took Matt in. Simon said it was most likely a benign cyst, but it should be removed as it would probably burst and then get infected. He'd get it checked over to make sure there was nothing nasty going on. Now, it was less than two weeks before I was due to fly, but it was time enough for the op, for the wound to heal and for me to go. So I said OK. Matty had the thing removed the following day. But the wound didn't heal. And over the weekend he was very sick. And the emergency Vet said that the wound should be re-sown. Less than a week before I flew. I was in a state. Anyway - Simon did it, and this time it was a lot better. Huge now, a great long scar down his neck, but looking like it would heal, and Matt went to stay with my Mum whilst I was away. This Monday, Matt had the stitches out. On Tuesday Simon phoned me. I was just letting two people from the DBF (Diocesan Board of Finance - here to hear my diatribe on why the diocesan finance system penalises growing churches) into the house when my mobile rang, and I took the call when I read on the display "Vet Calling". "How is he?" asked Simon. "Fine," I said, "back to his normal self really". I'm standing there with these two blokes on my driveway who are ready to hear my views on the worst diocesan finance system in the known world, and I'm being told over the phone that my dog had - possibly has - cancer. My dog. My shadow. My dearly beloved and constant companion. My Matty. Simon thinks he got it all out. It shouldn't recur. I should watch Matt. I should take him for a check-up in six weeks. They can do chemo if they need to. They shouldn't need to. I am still in shock. I can't take it in; I think I might even have rejected it altogether now. Like it's not true - it's not happening. And it might not be - Simon might have removed the whole thing ("Most dogs that have this type removed never have it again" sounded pretty lame given his original assurance that "this type is always benign - well pretty much, but I'm sure this will be.") I mean, I trust Simon - he's great. But he has no crystal ball. And one thing I learned when Charlie (Matt's predecessor) died was that it's not "just a dog". I kept telling myself that at the time because I'm a pastor and I was dealing with people who were losing their wives and husbands and parents and children. My loss was "just a dog". Rubbish. My dog is always with me. He is essential in my life. Constant as the air I breathe. His love is unquestionable, and his zest for life refreshes me more than the brightest sun and the bluest sky. By saying "just a dog" I stopped myself from grieving; by not grieving I made myself ill.
Love is love. We find it in all sorts of places and in all sorts of forms. There are all sorts of diferent loves. The love of a husband and wife is not the love of a master and dog, but both are love, and it is interesting to note that one of the best ways of explaining the proskuneo worship word in the New Testament is to say it is like a dog licking his master's hand: the pure devotion and trust of a creature to his master, the lesser professing obedience and belonging to the greater. Does that make me like God to my dog? How much should I love him? How many tears should I bestow upon him? To what lengths should I go for his safety? Last night I broke two ribs. Of my own - not cos I was eating barbecue, you understand. The doctor at the hospital asked me to breathe deeply, as I wasn't doing so. I fainted from the pain, just for a second. He looked a bit embarrassed. And told me I needed to keep doing that - but I might sit down when trying it. And then plied me with painkillers. That's all they do. No X-rays, no strapping, just co-codemol and ibuprofen. When I woke up and stretched this morning, I felt one rib kind of grate against itself in a way that bones ought not to do. Eek. I had a cracked rib once before, from playing football - it was nothing like this painful. I was looking at CDs in Walmart (the US giant that owns ASDA for British readers). Nothing took my interest. So I wandered back to Gill & Ben. And passed a man buying a rifle. Holding it to his eye, checking the sights. In Walmart. I WANT THE DEMOCRATS TO WIN. A year into learning my first instrument, I don't think I was anywhere near this good. I am a total fan of the American system, with its emphasis on "band" and social music making. 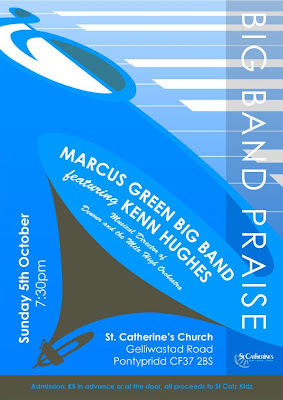 Ben is playing at home here - and how I wish I'd taken the camera with me yesterday when I saw his school band playing. No-one at home would believe how amazing a bunch of 12 year olds could be. ...is knowing that today is the last full warm day I get this year. And I don't just mean the dog's nose. It took me forever to wind down when I got here. I finally managed it a couple of days ago, and started to sleep (it has been months since I really slept). And now it's time to go home & parachute back onto the escalator. I fear this paragraph reveals more about me than it should! I love being away; I love coming home. Mum called yesterday, with Matty barking in the background and I was ready to be back with my Springer Spaniel! Even without the sunshine. Being in someone else's church was fun - but it made me miss my own and want to be back with them, finding new vision and implementing it. Yes. I will miss the heat. And the rest. But life is for living, not just for blogging. Time to go do some living. But 2008 is looking a bit different. We have become Australian in our sporting prowess. Chris Hoy, Rebecca Adlington, Bradley Wiggins anyone? The England Cricket Team under Kevin Pietersen? Manchester United's second European Cup in nine years (and Sir Alex was knighted for the last one)? Lewis Hamilton may yet hang on to win his Formula One Championship. I am sitting here having just watched Andy Murray's semi-final victory over Rafael Nadal in New York. If he beats the slightly out of form Roger Federer, he becomes the first Brit to win a Grand Slam tennis event for seventy two years. What price a December Embarrassment of Riches? Unthinkable. Glorious. Unthinkable. Glorious, but not successful. More Greg Rusedski than Fred Perry. And in this wonderful country I am visiting, the local CBS affiliate decided Dr Phil was more important than the US Open Men's Final, so I had to watch it on YouTube quality internet coverage. Somebody should try and civilise somebody around here. Hats off to Federer - a class act in anybody's language and anybody's land. I had the pleasure of attending church this morning here at New Walk church, a new-ish fellowship that meets just across the road from my sister's place. Scarlette, Gill's great friend, and Sydney, Scarlette's daughter, took me. The set-up is very contemporary, the band excellent, and the worship songs were familiar to me - Chris Tomlin, David Crowder, Matt Redman. The pastor is in his mid-thirties, and his preaching style was simple, practical, biblical and approachable. Very good. He's had a series on being "Fully Engaged" in life - this week was the last one, fully engaged in friendships. He commended us to Put ourselves in positions to meet people, to Provide encouragement, to Play together, to Pray specifically for our friends, and to remember the Power of One - the power of one person to change a community by inviting one other person to come to Christ. He asked a guy called Doug to stand up. Then he asked anyone who was in the church because Doug had invited them to stand. A few others stood. He then asked any to stand who were there because anyone already standing had invited them - several others stood. It made a powerful point. Scarlette and Sydney had never been there before - but thought I would like it, and they loved it and knew many people there, so I hope it will provide a good base for them. Next week the pastor, Gary, starts a series called "Garage Sale" which is about cutting out the extraneous stuff in life and focussing on what really matters. What really matters. Hmm. Seeing any church is always interesting, especially at anniversary time. This weekend marks my eighth anniversary as vicar of St Catherine's. The journey is great; but we are far from where we need to be. And seeing another community reminds me that settling for where we are is never enough. What really matters? We must always walk on. Our church is a family, a community, focussed on worshipping our Lord, sharing the faith that is the treasure in our hearts, building bridges of compassion into the lives of those around us. And this community must live. Must grow. Must never stay the same. O, I love to stay the same - it is so much easier. And God forgive me: it is not good enough. Now is the time for salvation - for life - for growth - for the Day of New Things, Renewed things. When I pull back it is because it feels safer. But safety is found in moving closer to Jesus: for in Him is safety - salvation - not in holding on to rest and ease and familiar ways. God forgive me for being tired and saving energy by using last year's song sheets! This is this year! Lord: thank you for the journey so far. But I pray with all my heart that this year we will see more of you than we have dreamed of so far. 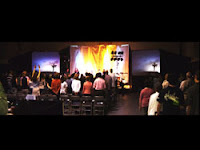 Help me to worship you; and please grow your church. As someone who has been involved in worship leading forever - well, being in worship bands for twenty five years and actually leading for the last eighteen - I am often on the lookout for good new resources. Being in a small church, sometimes it is easy to miss "the latest thing", and to be satisfied with older things - things I know well, things I can do falling off the proverbial. And then you come across gold. 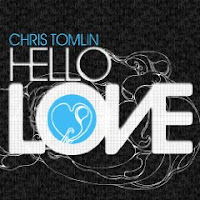 Chris Tomlin's brand new CD, Hello Love, not even out in the UK yet, is one of those golden moments. I am writing this as I listen to it for the first time. I bought it yesterday in the Virgin Megastore at Downtown Disney, Orlando. They had two versions - I got the one with an extra disc, with chord charts and extra bits for worship leaders. I'm so glad - I love every song, and want to learn them all, imbibe them all, make them a part of my worship vocabulary. Musically it is phenomenal. Song after song is well-crafted, with great pace and shape and melody. Lyrically it keeps arresting my attention, making me stop and think and pray and shed a tear of joy, with a simple profundity. When you get chance - add it to your collection. I think this is right up there with my favourite worship albums, collections of songs that have blessed me and changed me. I am looking forwards to our congregation learning many of these songs. Thank you Lord, for faithful servants blessing your church with such gifts as these. Man City gets bought by one of the world's richest men on Monday, who then buys Robinho minutes before the Transfer Deadline Window shuts - having tried to fit in about 37 other deals in 23 minutes as well. 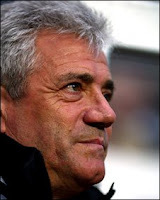 And King Kev, the beloved messiah of Newcastle now has resigned from his Geordie post. Played three, won one, drawn one, lost one. For Curbs, it was the buying & selling policy of a club where he was the last to know what was going on. The same for Keegan. Now Hammers fans are divided about Curbishley - which seems unfair, given the turn around in that great club's fortunes last season. But on Tyneside there is general mourning at Kev's sudden departure. They are burning the club chairman's effigy everywhere. Since Kev last left Newcastle, eleven years ago, they have had seven other managers. And no success. Man Utd have had the same man at the top for twenty-two years and countless trophies. There is some corollary here. That pundits can see it, fans can see it, newspaper columnists can see it, half-blind dogs can see it - but football club chairmen cannot: it's just bonkers. And, as I said on Monday, the Abu Dhabi United Group that now own Man City are not football people. So - they will act as the board at West Ham and Newcastle have done. And all the money in the world will buy them no success at all, because football is a team game, and the team has to work from top to bottom. Undermine the manager, and it's time to go home boys, cos nothing here's going to work. As I sit inside, occasionally, resting from all the incessant sunshine of the Sunshine State, I am enjoying watching the sport that is on the 52 inch TV. Deadline Day transfers, as already discussed. US Open Tennis (Andy Murray doing well - though with Nadal next, oh well). And the Republican Party Convention. Here are the nominees for President and Vice-President, John McCain, who has nothing to do with oven chips, and Sarah Palin, who has never made a documentary about travelling around the world for the BBC. To let the cat out of the bag (and that's my sister's cat Sammy, letting himself out of a Calvin Klein bag) my sister is a big Hilary Clinton supporter. Of course, that is now meaningless. No Hilary choices anymore. It's Barack Obama for the Democrats - and just ask Aled how exciting that is. And having watched her last night giving her Convention speech, Aled you are not going to like this: I think that the McCain/Palin ticket is very electable. Not because I like their policies, but because they know their electorate. And they have the tone of things just right. In the church, the problem with Liberals is this: they think they know best. "If only you were as clever as I am or could see things as well as I do, you'd agree with me" is how they leave everyone else feeling, and they alienate people constantly because of it, whther they have valid points or not. It's the same in politics. The Democrats are Liberals who leave a lot of people feeling that they have just been told that Obama knows best and will give it to you whether you like it or not. Whether you want it or not. McCain has 7 homes in 3 time zones - this is because his wife is fabulously wealthy. Obama grew up with his mother looking after him on income support. Yet because of the "liberal knows best" attitude, Obama is the one who is portrayed as "elitist", and it sticks! I'm a foreigner here. What do I know? I know what I saw on TV last night as Sarah Palin took to the floor, and what I hear people around me saying. And that TV commentators are in some disarray following a performance that stunned most people, whether they liked her or hated her. I saw a politician speak in the way they do on the West Wing, and you never - never - get to see that in the real world. But this wasn't an actor, it was for real. I saw great sport, and the fun and games really begin. 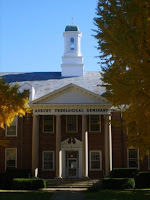 The Asbury Seminary Kingdom Reader is now up and running. I first came across this great resource three years ago when I was there teaching for a week, and my good friend JD Walt gave me a copy. It is a super collection of readings to take you daily up to Christmas; I have it on my blog list, so each day as I check in it registers that there is a new entry - today's reading. Scroll down to the bottom for the introductory essay, then I invite you to join in and share these readings through the next period as we move from Summer to Christmas. The Times reports that the Dean of St Albans will be nominated as one of the candidates for the vacant Bishopric of Bangor here in the Church in Wales. It's both a something-and-nothing story, and a something-and-something story, because Jeffrey John is famous to many for being nearly the Bishop of Reading. Till Oxford Diocese asked Rowan to step in and overrule because JJ is gay. Gay and celibate. Gay and celibate - and in a civil partnership with another male priest, which to most people reads as "gay marriage". On what gounds is this a "something-and-nothing story"? Well, everyone in the Church in Wales knows that Barry, our Archbishop, would be only too delighted if a decent gay candidate were put up for one of the forthcoming episcopal appointments in the Province. JJ is about the best known name for this - so, on that level, this hardly comes as a surprise. And also, many names will be nominated. Being nominated for consideration is a long way from being elected. There will be other good candidates nominated. Please, let's not all start hyperventilating. So. This is my blog. I'm writing with opinions. What do I think should be done? Here I come, wading in. To the murkiest waters known to modern Christendom. God knows how we got here. But here we are. So I am going to say it as I see it. I hate politics in the Church - the politics of hidden agendas, of smiles on the front of faces whilst knives are being sharpened behind backs ready to be used ASAP. I honestly think the gay issue in the church is more about the perennially ungodly fight between liberals and evangelicals than about the issue itself. I mean, as an issue, it merits hardly any Scripture space yet it seems that all of the Bible hangs upon it if I listen to some friends. Poppycock. If we can't speak truthfully we don't deserve to be heard. And because evangelicals are always so well played by liberals, we get angry and try to play by sniping and sneaky tricks in return. It won't do. It really won't. I didn't say that. I said - perspective, please. And grace, because we are talking about real people here, and real people matter more to God than doctrines. He didn't send his Son to die for doctrinal purity, but for you and me. And a woman at a well. And Mary Magdalene. And Saul the destroyer. And John Newton, slave trader. And several million others - some of whom said thank you, some of whom said no. If he died for a man who was a murderer (as Newton surely was) then I think that loving a man who sleeps with another man oughtn't be beyond his ability. Ah! But Newton changed! Of course: this is the heart of the issue. The Gospel of God's redeeming love is for everyone, and we are to make it available to all - but it is not simply characterised by the words "there's a welcome here for you!" That great love welcomes, for sure - and then changes, transforms, makes new. Conforms us to the image of his Son. "Right is right and wrong is wrong," you might want to say, and I am happy for you. Happy that your life is so clear, but unfortunately for many people life is less clear, and though my job as a pastor is to draw each person in front of me closer to Jesus - I actually have to start where they are. Oh my, what a calling. And aiming at ritual purity on the one hand, and a complete assimilation into and acceptance of culture on the other both fail as following the model. We need something of both. Which is why I am an Anglican, and it brings me to my second point. I am an evangelical. But I fully accept that as an evangelical, my faith needs to be critiqued. In listening to the critique - both from liberals and from total non-Christians - I am thrown back upon the Scriptures and upon my relationship with my Lord and made to know Him better. It is one of the riches of being an Anglican than you have to live with others who are different to you, even when you are so righht, and they so wrong. Yet some of us genuinely hold to this argument. A bishop is a figure of unity in the church, not a parading figure-head of the latest issue at hand. Please, I would beg that JJ not be brought back here - he may be excellent, but he also comes with far, far too much baggage, and would place the Church in Wales in an invidious position that most of us do not want. Gun to head: yes, I think it's OK to be gay and to be ordained - but the only sexual activity the Bible allows clergy is heterosexual, monogamous marriage. So single & straight, or gay, if you want to be ordained - fine: celibacy is a hallowed expression of sexuality that should be embraced and not feared. Gun to head: a potential Bishop with a civil partner is pushing the limits on what it means to be celibate, no matter what else he says. It sounds Clinton-esque. That's not a great place for a Bishop to be. Ethics is complex. It's as simple as that. As far as this current spur to writing goes, because I believe in the Church, because I believe in honesty, because I believe in the best person not being ethically compromised, because I believe in politics not pushing for something that will fail to pastor many, and because I believe the Bible to be our rule of faith (and I haven't even begun to talk about that here - but see Ricky's other blog for some pointers - though beware, we have been chatting over many postings and many comments, so that is just a scratching of the surface!) I think JJ would not be a good candidate for a bishopric in the Church in Wales. And I can think of many people who would be good. So I am praying that one of those men will be elected. And I am praying for one especially. Because when you see what might be, it is right to answer back not with condemnation but with holiness. I don't know JJ. I would not want to see him appointed - I fear it would harm the Church I love. And I can think of someone who would bless the Church I love; so I am praying to bless. When faced with such circumstances this is our response: not to shout loud and condemn. How is that godly? But to pray and to bless and to ask God to have mercy. Who knows? Perhaps He will. This picture is firstly dedicated to my good friend, Running Sheep. In memoriam. Fergie got his man, and the sulkiest player in the Premiership is now a Red. 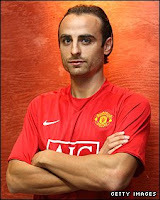 Nothing to do with cash, of course: "If I want to play for the money, I would accept the Manchester City offer or Chelsea," Berbatov told MUTV. "The red shirt is the really big thing for me. I want to play for the biggest club in the world." After Chelski comes Middle Eastlands. And the new monster threatens to belittle the former. The Arab multi-multi-multi millions came after serious deliberation. They thought about buying Arsenal first. Or Liverpool. Or a number of other clubs before settling on Manchester City. So they have real commitment to the club. And the fans don't care - they have real cash, so what's to complain about? Er, the heart of the club? I mean, despite the fact that this has been about failure for so many years, it has been a local club, a proud boast of belonging to Manchester. Hey, let the good times roll! Till the money men get tired of football, of course. Ahh, that's not going to happen. Again: hmm. Gordon, I warned you about Thaksin, and it's not taxing anyone's brain to see that this is all going to end badly. Don't the Premier league have any power to say - hold on, prove yourselves, commit to this club for 5 years minimum, or this is a no go? Course not. That would take something other than footballs. And Dr Al-Fahim's money now makes a mockery of Hull and Villa and everyone else. You want a decent winger? Sorry - amongst the hype we've just discovered hype-rinflation. Ronaldo? OK - here's £134 million, ready to buy him in January (so says today's Times). Even Abramovich can't compete on those terms. 1. They may be great business men but they will have no idea how to run a football club. Mark Hughes - you have six months left in your job. And then they'll lose patience with the next guy. Real Madrid also learned the hard way that Galacticos don't win trophies. 2. This summer we saw that Man Utd wouldn't sell if they didn't want to, and would buy if they did want to (despite Real Madrid in one corner & Man City in the other). Villa too refused to sell when they didn't want to. What money on more clubs learning this? Having to learn this? The love of using money to win football matches is the root of all sorts of evil. The final day of the transfer window is always bonkers but this takes the biscuit. Berbatov to City? I mean, why book a holiday to Barbados and then go to Butlins just because you are guaranteed the best room? It's still a room at Butlins! Berbs has been seen at United this afternoon, so this may just be part of the madness, as is the sale of City to some shady Sheikhs. A Thai politician bound for jail wasn't enough, so now it's Arab oilmen in charge at Eastlands. At least they'll all still be able to fill up their Ferraris. And in the meantime, Real Madrid have expressed an interest in a certain Bulgarian striker... presumably just to drive the price up in order to spite United for not selling a certain Portugese player. Don't you love this day? So - the slick Bulgarian is now a Red. Glory. And City bought Robinho from real Madrid... What a day. And Wyn Evans became the Bishop of St Davids, resisting efforts from Hull to sign him as reserve team coach just before midnight. So I'm sitting in the screen porch, warming up nicely in the morning sunshine, taking a break from both the CNN reports of Hurricane Gustav and Nemesis, the current Agatha Christie novel I'm gently browsing. It was of course Doctor Who that got me here. Well - Virgin Atlantic got me to Florida, you understand, and then my sister drove me to her home & the screen porch; but the Unicorn and the Wasp reminded me that, despite my great love for reading and my constant devouring of a decent novel, I have never actually read anything by Agatha Christie. So I beetled off to eBay, found a lovely hard-backed version of Murder at the Vicarage, and a selection of 10 other Miss Marple paperbacks for next to nothing, and I've been working my way through them ever since. 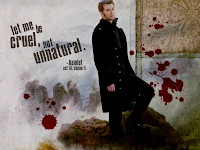 They are easy-read novels, and the development of the form and of AC's style over the series is part of the pleasure of the read, though the rather light way in which "murder" is treated, and the loss of life becomes acceptable and unshocking to all - evil is mentioned, but never really seen for what it is. So I sit here in the screen porch. And CNN continues to report on hurricane Gustav, and genuine tragedy unfolds. And here is reality, with the lives and homes of countless people being ruined by the wind and the waves. And my prayers are constant too: for mercy, for love, for help and for a better response now than last time. People here in Florida are not enamoured of the way in which Hurricane Katrina was dealt with; they point to the earlier Charlie, and how they rescued their own at that time. And my mind wanders to China, and to Burma, and to all those places that suffer natural disasters away from a hundred CNN reporters. The news media is so powerful; and so selective. We are parochial beings; I guess when pain and loss hit our own, we feel it more. I thank God that each person who suffers is loved by him in exactly the same way, no matter where or what kind of pain they experience. This is the wonder and the truth of his love. But I confess I don't know how to live out that depth of love. Loving the person in front of you is the start, isn't it? Not taking the loss of life lightly. "Just another story on TV - click, what else is on?" And remembering that there are others too, and praying for them when we cannot directly help - that also matters.